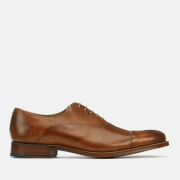 The Men's Archie V Brogues by Grenson feature a tan leather wing tip outer with exaggerated punched detail. The shoes are Goodyear welted with a red leather Grenson embossed insole and white Vibram wedge sole. Upper: Leather. Sole: Rubber. Lining: Leather. 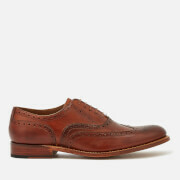 This is now my second pair of Grensons and I love them, great shoes. Coggles were very easy to deal with, simple payment and quick delivery, thanks!